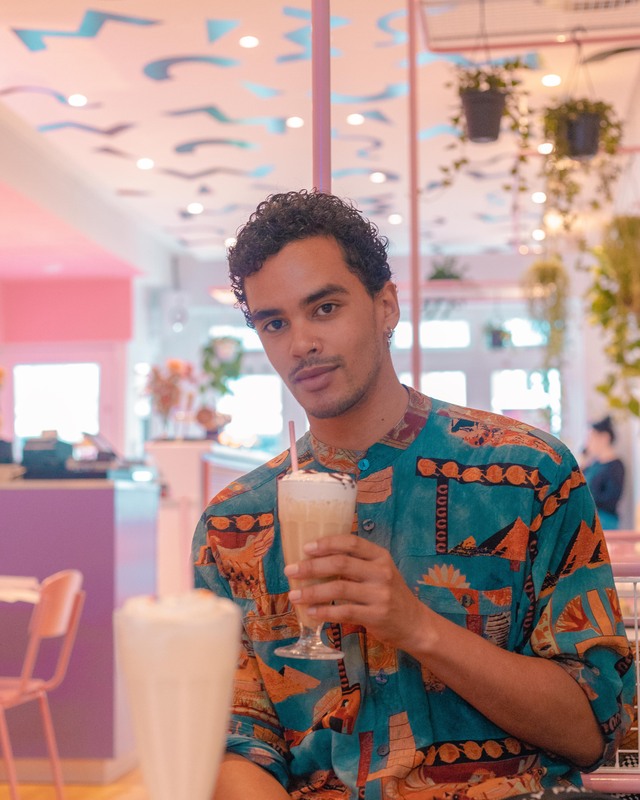 I’m starting a new segment on this blog titled “lets try:…” where we’ll try some different kinds of vegan foods and see if its a hit or a miss! Why? I just love trying out new products and want to share my honest opinion about the things me, and my family and friends try. This was actually inspired by my non vegan family members who have a hard time eating a full meal without meat, so every now and then, I’m able to pursue them to try some vegan alternatives, and being totally honest. So today, especially for them (and me), we will be trying some vegan alternatives for burgers, cause who doesn’t like a good burger!? 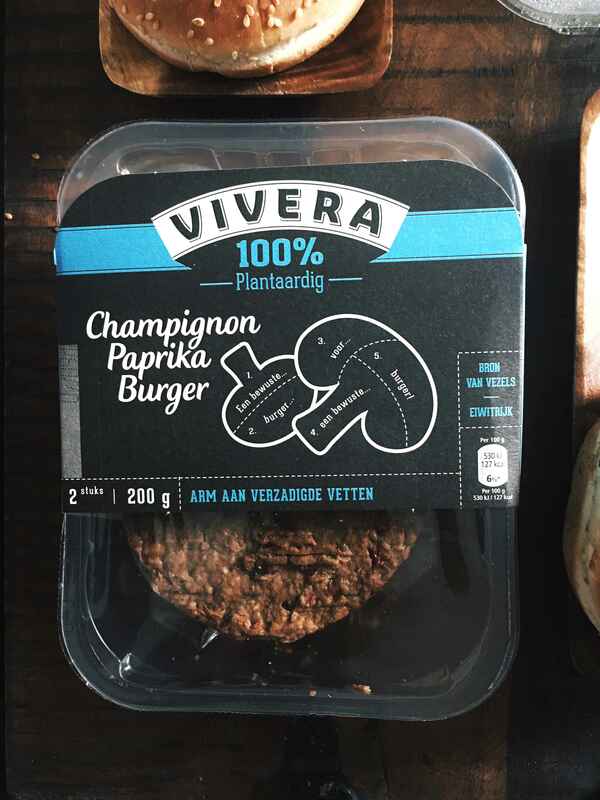 Today we’ll be trying Vivera”s Mushroom/Paprika Burgers, these burgers are available in the Netherlands, if you do not live in the Netherlands don’t worry I’ve got a recipe for vegan burger right here. Now follow along and see how I assembled these delicious burgers (I’m not getting paid to promote this, they are simply delicious)! These burgers weren’t actually new to me, but they were for my mom, so she will be deciding if these are a yay, or a nay. 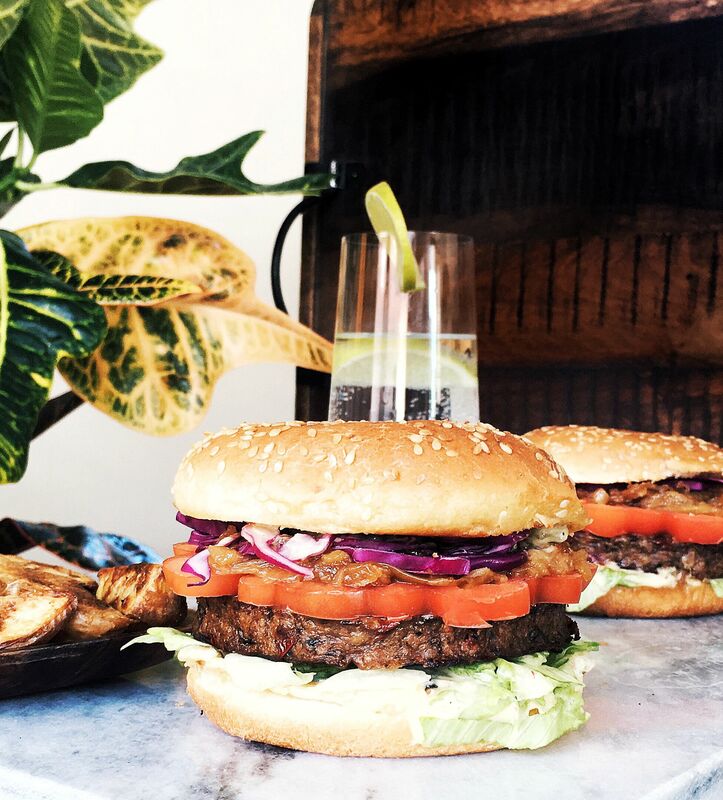 I myself absolutely love these burgers, they are gmo free and I find the taste and texture quite great for a vegan burger. As much as I like to make food from scratch, I don’t always have the time or will to do so, especially after a rough day its nice to have something easy and convenient, plus these burgers are a million times healthier then anything you’ll be able to find at most fast food places. I was planning to make a recipe for vegan buns to go along with this post, but to be honest, I wasn’t feeling it, this had be quick, easy and delicious. 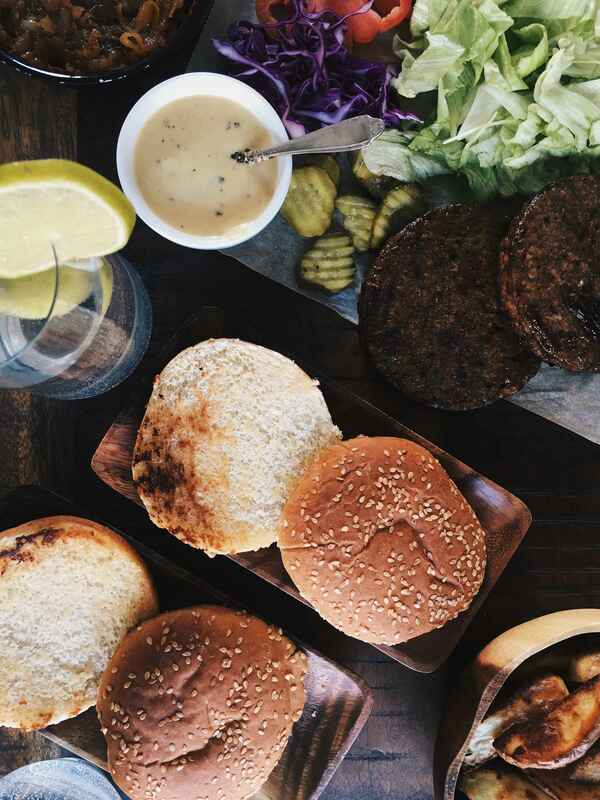 Having said that, you can expect a recipe for vegan burger buns asap, cause now I’ve hyped myself into making some! And the irony of it all is that it still took me forever to make these since I decided to make some caramelised onions, but they were totally worth it! I had to resist adding hot peppers, since at home I’m the only one who enjoys to have his mouth on fire. Bun, sauce, lettuce, burger, tomato, caramelised onions, cabbage, pickles, sauce, bun. Ok now that we’ve assembled the burgers it is time to eat and while we were doing so I was waiting in anticipation to find out if this was a yay or a nay, and it turned out my mom loved them! She was so impressed that she even threw shade to mc Donald’s by saying their burgers are fake as well. I’m happy with the results and I myself am also sold, these burgers are a win. We’ll definitely be having these again, it is so nice sneaking vegan foods into my non vegan family and friends their bellies!